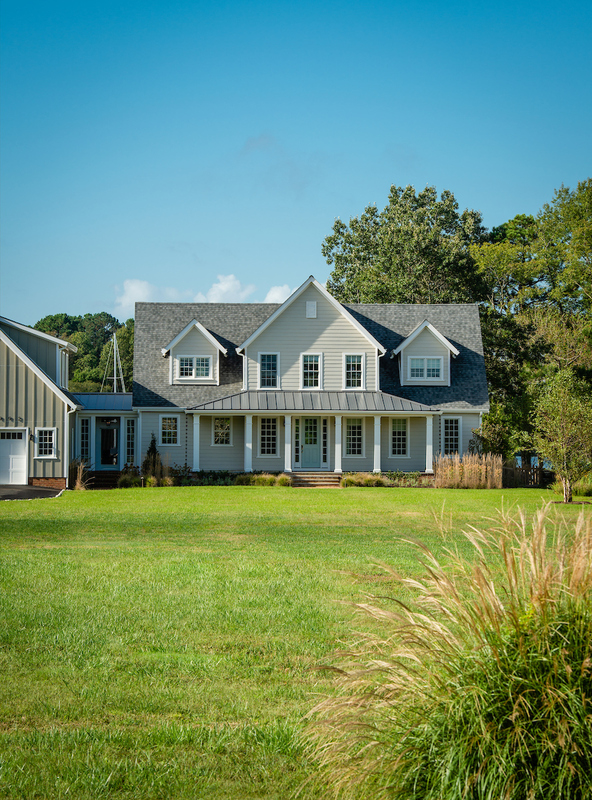 A modern farmhouse custom home in St. Michaels, MD. The aesthetic is clean and simple with neutral colors and all organic materials. Robins egg blue accents the front door and LaCanche range imported from France. The kitchen, designed for cooking and entertaining, features hand-poured concrete counters, and glossy hand cut and colored porcelain tiles that reflect and mimic the movement of water outside. In the back, a saltwater pool and outdoor shower and bath make entertaining and relaxing a breeze.